Wolfsburg (Germany) – Breath-taking all-time record at the legendary hill climb on Pikes Peak with a pioneering, fully-electric drivetrain and a spectacular look – the Volkswagen ID. R Pikes Peak has already justified the use of many superlatives. The 500 kW (680 PS) prototype sports car has now been crowned “Race Car of the Year” twice – by specialist German magazine Auto Bild Motorsport and by British car magazine BBC Top Gear. This recognition from two renowned and high-circulation magazines follows a year of success on the track. Back at the end of June, Romain Dumas (F) set a new all-time record of 7:57.148 minutes with the ID. R at the “Race to the Clouds” on Pikes Peak, smashing the previous record for the extremely demanding, 19.99- kilometre hill climb by 16 seconds and made headlines around the world in the process. This triumph made the ID. R the first fully-electric racing car to come out on top in direct sporting competition with cars powered by combustion engines. The ID. R is the motorsport forerunner of the ID. family of electric cars, which Volkswagen will launch in 2019. “We wanted to achieve two things with the ID. 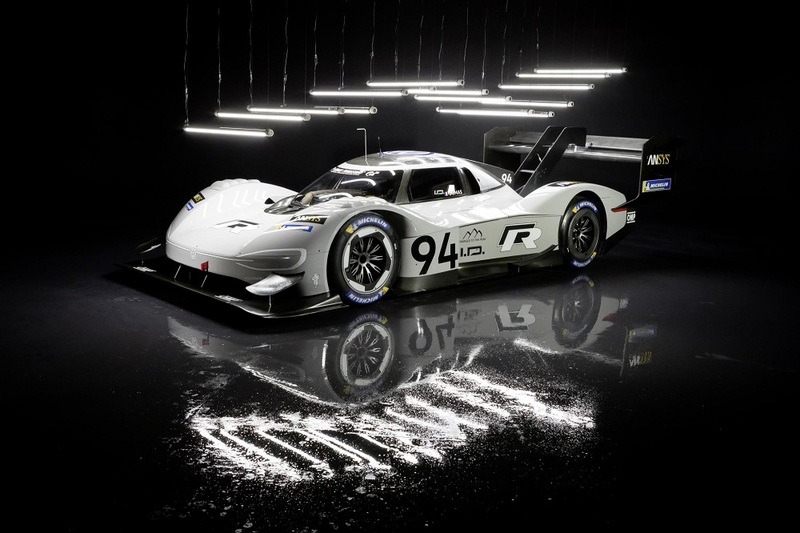 R. Set a new record on Pikes Peak and show how dynamic, emotional and powerful electromobility can be,” said Volkswagen Motorsport Director Sven Smeets, who received the award from Auto Bild Motorsport at the formal gala during the Essen Motor Show in Germany on Friday evening. “When it comes to the sporting result, we far exceeded our expectations and completed the fastest assent of Pikes Peak in the history of the race.